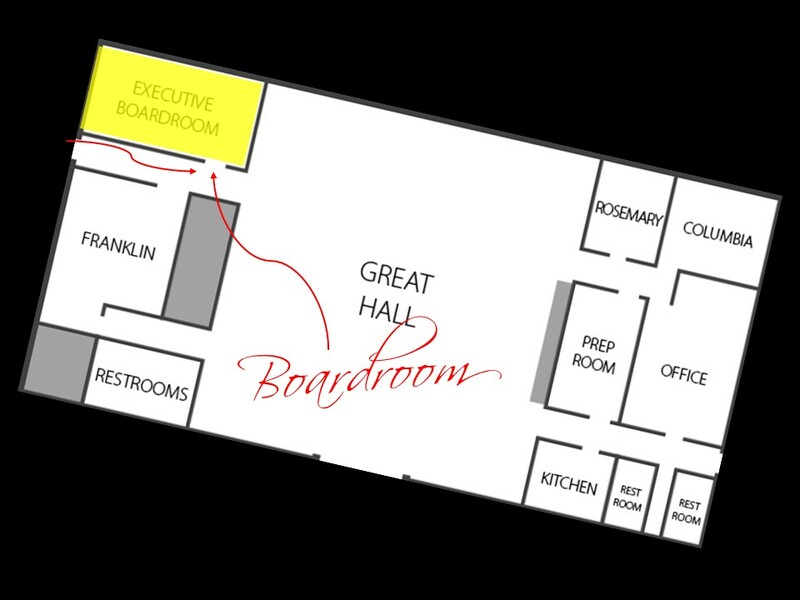 The Executive Boardroom is a comfortable, pleasant, and professional business room with access to state-of-the-art presentation equipment. This includes a 70-inch flat panel screen with laptop hookups and a high speed Wi-Fi connection. 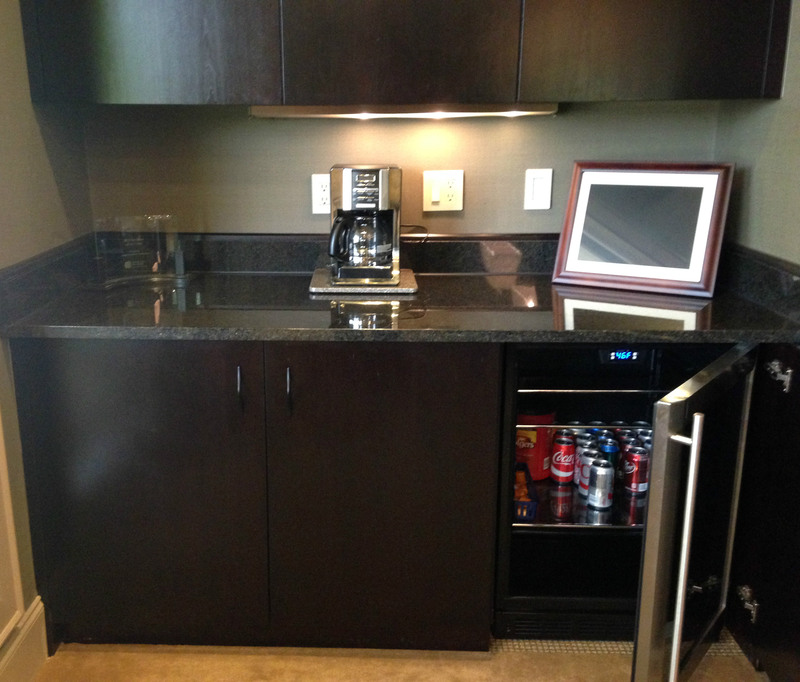 The sideboard includes a convenient refrigerator and coffee pot for your meeting or retreat needs. Bring your own food, call in a caterer or walk across the street for lunch where there is a wide variety of delicious options. This is the third year in a row that we have done our annual staff retreat in the boardroom at EV and we love it. It is so comfortable and the big windows make it such a pleasant place to be when you have to look at lots of little numbers.